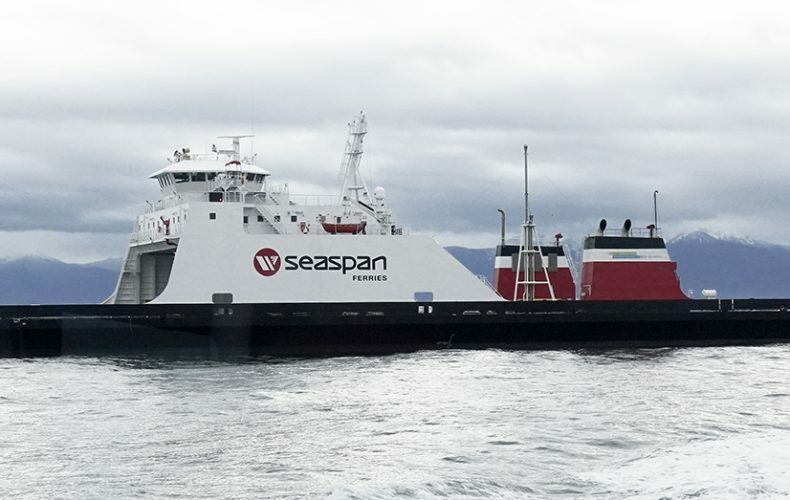 Richmond, BC – December 13, 2016 – Corvus Energy, congratulates Vancouver-based ferry operator Seaspan Ferries which recently took delivery of the first of two LNG-battery hybrid cargo ferries to be delivered in the next 12 months. The ‘Seaspan Swift’ is the first LNG-battery hybrid cargo ferry in North America. The vessel features two dual-fuel engines and a Corvus lithium ion energy storage system (ESS), which operates as spinning reserve and provides propulsion power for low-speed maneuvers. 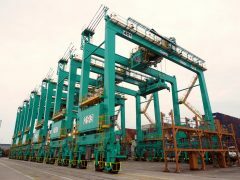 The cargo ferry will be joined by a sister ship, Seaspan Reliant, in early 2017, after which the operator will order a further three ferries, according to Seaspan CEO Jonathan Whitworth. 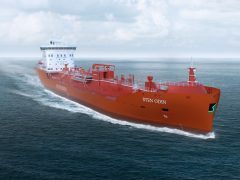 The 148m vessels, designed by Vard Marine, will have capacity for 59 truck trailers compared to the 30-40 trailer capacity of its existing seven vessels that have been in service for an average of 36 years. Seaspan Ferries operates cargo-only services between Vancouver Island and the British Columbian mainland, carrying up to 800 trailers a day. The company delivers more than 50% of all products consumed on the island.